Our Lady of Guadalupe sculpture. Catholic Sacred Art-portfolio and gallery of sacred art sculpture and designs for churches and religious sites created by Enrique de la Vega. 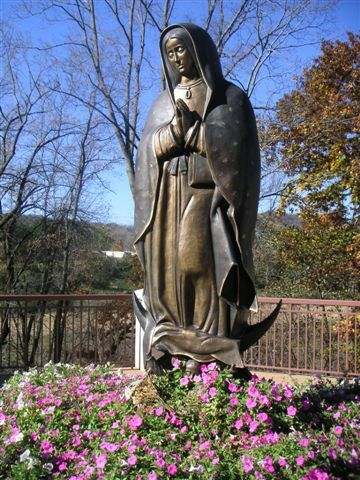 Eight foot bronze sculpture for The Shrine of Our Lady of Guadalupe in La Crosse Wisconsin. Created by the artist in 2003.